RAEA HE and HE+ systems drastically simplify the way we get to higher energies in Ti:sapphire lasers. These systems allow you to get up to 8 mJ out of a single-stage, single-box system. Typically, getting to these energy levels would require multiple boxes carefully coupled together in order to produce a single compressed beam. We’ve improved the design to remove your worries about instability and constant realignment between multiple stages and, instead, allow you to have a higher energy beam with half the fuss. Though the single box solution can reach power levels up to 8 mJ, additional system options can improve your power up to 20 mJ. 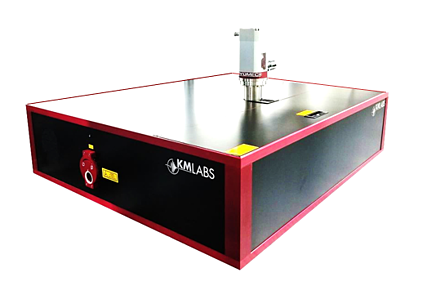 Please contact our sales team at sales@kmlabs.com for further details. With the RAEA HE system, you don't need to sacrifice pulse energy for system flexibility. With an operating range of 1 to 5 kHz, you have the option to use your system for multiple experiments with just one box. The RAEA system also offers unique computer-controlled tuning of your system's repetition rate, meaning that the only thing you need to do to access your system's full range of use is to select a new settings profile. 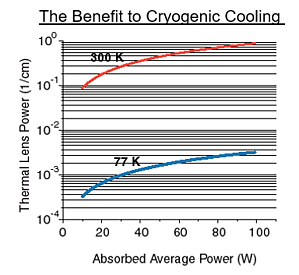 The award-winning Permacool™ cryo-cooling technology patented by KMLabs is at the heart of the HE and HE+ configurations, allowing you to push your system harder without having to worry about the thermal lensing that can distort your beam in both time and space in other systems. KMLabs’ 20+ years of experience in cryogenically cooling Ti:sapphire crystals have allowed us to fine-tune this technology to make the best use of it in your system.